Tulum will always hold a special place in my heart. Jon and I are officially engaged as of September 21st and we spent one week in Mexico to celebrate! Neither of us had been to Mexico before so there were lots of firsts. From what I’ve read, heard and experienced first hand, Tulum is very different than other popular Mexico spots like Cabo and Cancun. 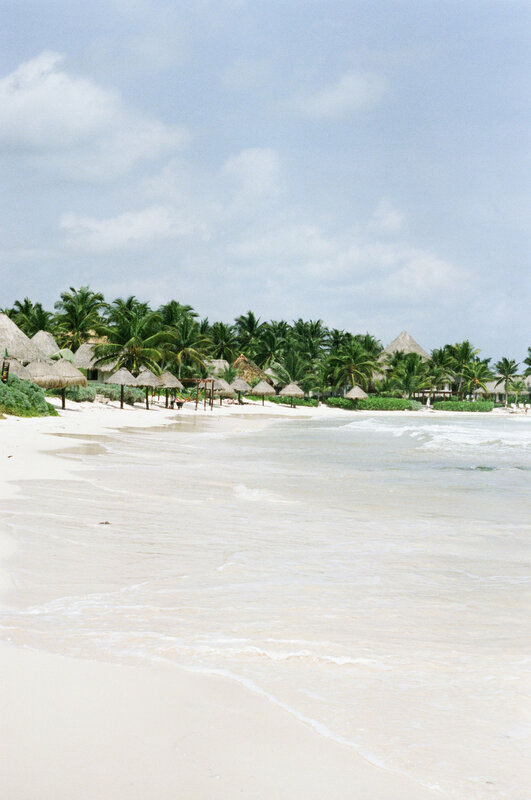 Tulum is known for its truly relaxing beach vibe. If you’re into sleeping in, massages, yoga, cenote exploring, snorkeling and trickling into town for dinner this is your place. I’m sure the nightlife is exciting, but it’s truly a magical place for couples going to relax and spend quality time together. We spent our days lounging on the beach or in the pool and walking along the beach into “town” for a little window shopping and dinner almost every night. We experienced nothing but the sweetest hospitality from everyone we met (especially at our hotel) and we ate our bodies worth of guacamole (me) and tacos (Jon). A note about Tulum in October — October is still considered hurricane season. On the bright side, you won’t run into crowds and you’ll get slightly cheaper prices on hotels and flights. We were so excited that we never had to wait for a table and always grabbed one of the best cabanas for the day at our hotel or Ziggy’s Beach Club. But at points it felt a bit like a ghost town; we kept asking ourselves where everyone was. The down side is that it’s extremely hot (90s +). I can’t even tell you how amazing it was to jump into the ocean after biking 20-30 mins in the heat from our hotel to the Tulum Ruins. Also, you will most likely get a few tropical storms. We experienced a couple, but they disappeared after a few hours and were weirdly relaxing (something about the sound of the rain). On a photography note, a few of the images I took during this trip are on my Fine Art Print Shop. I would love it if my photos became a piece of art in your home! *Photographs may not be reproduced, printed or sold without permission. Hartwood — This place was closed while we were there, but we heard amazing things!